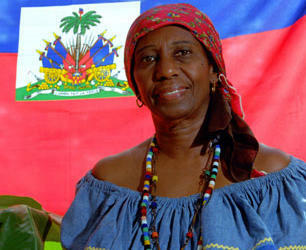 In 2006, Liliane Nerette-Louis, teacher of Haitian cooking and folkore, received a Florida Folk Heritage Award. The Florida Department of State is seeking nominations for the 2019 Florida Folk Heritage Awards. The annual awards recognize individuals who have made exemplary contributions to Florida’s traditional culture. Folk heritages includes a wide range of creative forms such as arts and crafts, dance, language, music and ritual. These cultural traditions are transmitted in various ways and shared within community, ethnic, occupational, religious and regional groups. Nominees should be individuals whose art or advocacy has embodied the best of traditional culture in their communities. Nominations should describe the accomplishments and background of the nominee, and explain why he or she deserves statewide recognition for preserving a significant facet of the state’s cultural heritage. Supporting materials such as photographs, slides, audio-visual samples and letters will assist the state’s Florida Folklife Council in evaluating nominees. Each nomination also requires at least two letters of support from community members, colleagues, peers, cultural specialists or any other individuals who can confirm the details of the nomination and attest to the nominee’s qualifications. 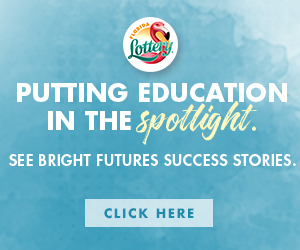 Award recipients will be announced in January 2019. Nominations must be postmarked no later than October 1, 2018 and mailed to: Florida Folklife Program, Bureau of Historic Preservation, 500 South Bronough Street, Tallahassee, Florida 32399-0250. Nominations can also be emailed to folklife@dos.myflorida.com. For more information about the Florida Folk Heritage Awards or the Florida Folklife Program, contact State Folklorist Amanda Hardeman at 850.245.6427. For guidelines and other information, visit www.flheritage.com/preservation/florida-folklife-program/folk-heritage-awards/.